MORE THAN A SIMPLE WATCH! STAY CONNECTED TO YOUR PHONE VIA BLUETOOTH! ZeBracelet is a smartwatch that tells time while offering much more. By connecting you to all your Bluetooth enabled devices-phones, smartphones, tablets and PCs-ZeBracelet keeps you up-to-date with a glance at your wrist. 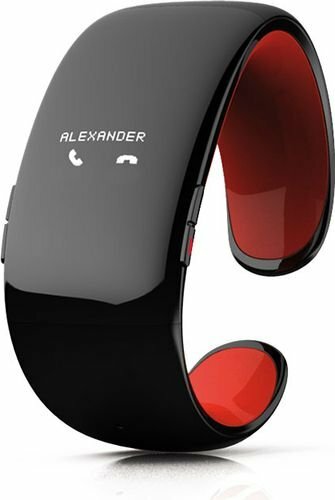 On incoming calls, ZeBracelet rings and vibrates, displaying the caller number and/or contact on its OLED screen. You can easily answer or reject calls thanks to its intuitive side buttons and integrated speaker/microphone. 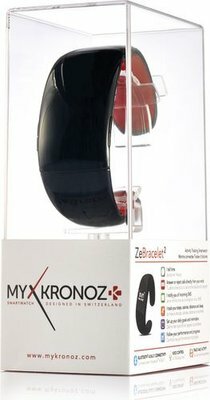 ZeBracelet also lets you listen to music from your mobile device while on the go! When your phone is out of range, ZeBracelet alerts you with a vibration, ensuring against theft or loss. With your phone’s main functions readily available on your wrist, you'll stay connected at all times!